The Anglican Church of Southern Africa is situated on the southern tip of Africa. This Province was formerly known as the Church of the Province of Southern Africa (CPSA). 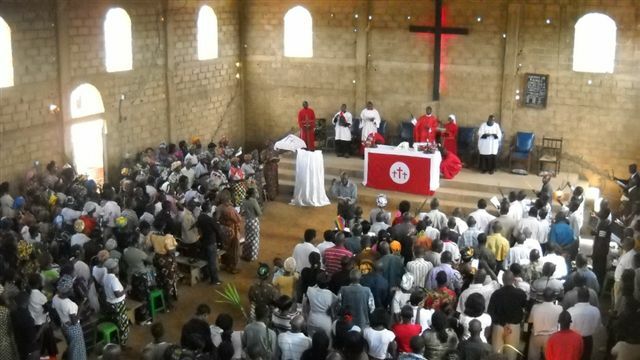 The Second Reading of the resolution to change the name of the Church was heard and approved at the Provincial Synod held on 8th and 9th September 2006. The Archbishop is the Most Reverend Thabo Cecil Makgoba, who is also Bishop of Cape Town. There are currently 29 bishops, approx. 2000 clergy who minister in about 1000 parishes. There are many challenges and opportunities for ministry in this Province. For example, the new democracy in South Africa after many years of oppression under the policy of apartheid, in the rebuilding of Angola and Mocambique after many years of civil war, the pandemic of HIV & AIDS affecting many of its members, poverty eradication, environmental issues, etc. 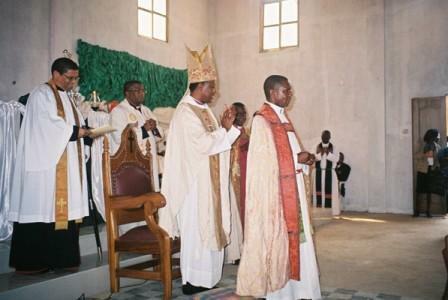 The Diocese of Angola (Diocese Anglicana de Angola) is a diocese in the Anglican Church of Southern Africa, encompassing the entire country of Angola. 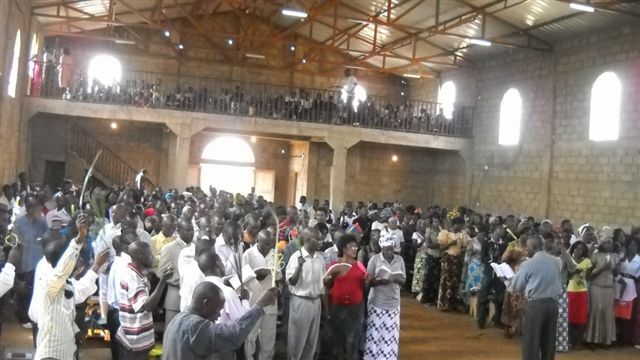 It is divided in three archdeaconries, Luanda District, Lukunga Lozi (Songo) District and Uíge Province, with a total of 48 parishes with 37,000 members. Anglicanism reached the Portuguese colony of Angola in 1923, due to the English missionary Archibald Patterson. 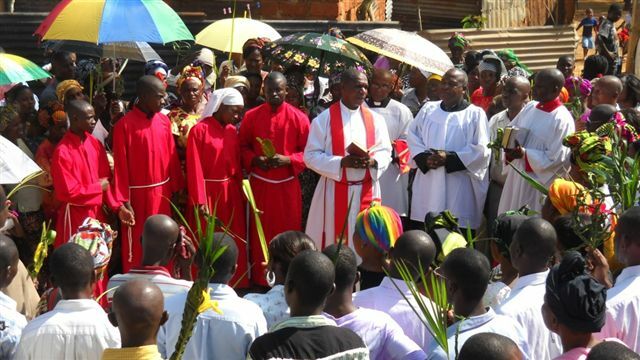 The current diocese has been formed from the Igreja Evangélica Unida de Angola, which shared a common history with the Igreja Evangélica Reformada de Angola from 1922 to 1975. It was constituted as the Evangelical Reformed Church of Angola in 1975. 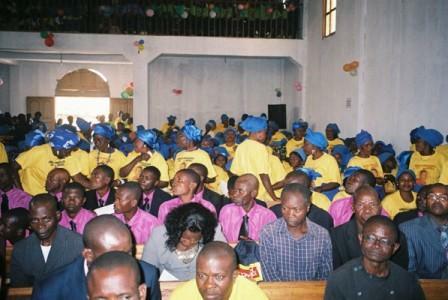 Angola was an archdeaconry of the Mozambican Anglican Diocese of Lebombo until 2003. 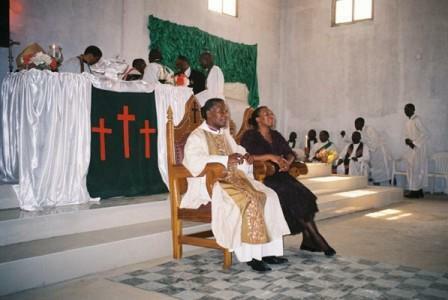 It became a diocese of the Anglican Church of Southern Africa in 2003, with the Right Rev. 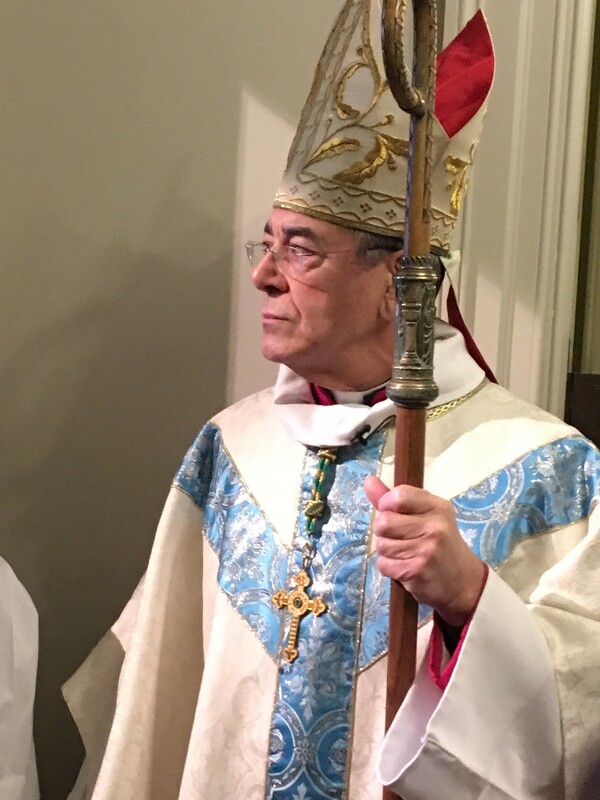 André Soares as the first bishop. The Angolan bishop already shown his support for women ordination, adding that he doesn't believe it is an obstacle to ecumenism. 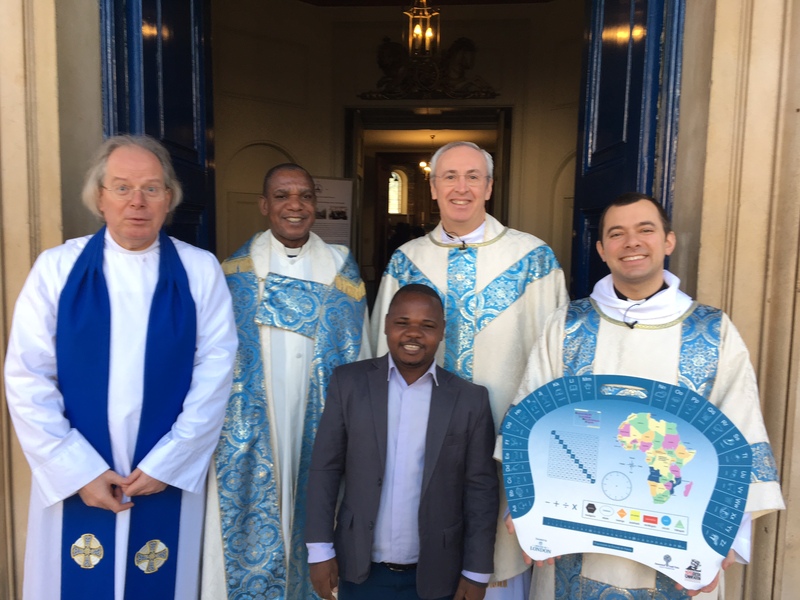 In January 2017, Fr Augusto Domingos and Paulo Manuel visited St Marylebone Parish Church as part of the 900th/200th Anniversary celebrations of St Marylebone. 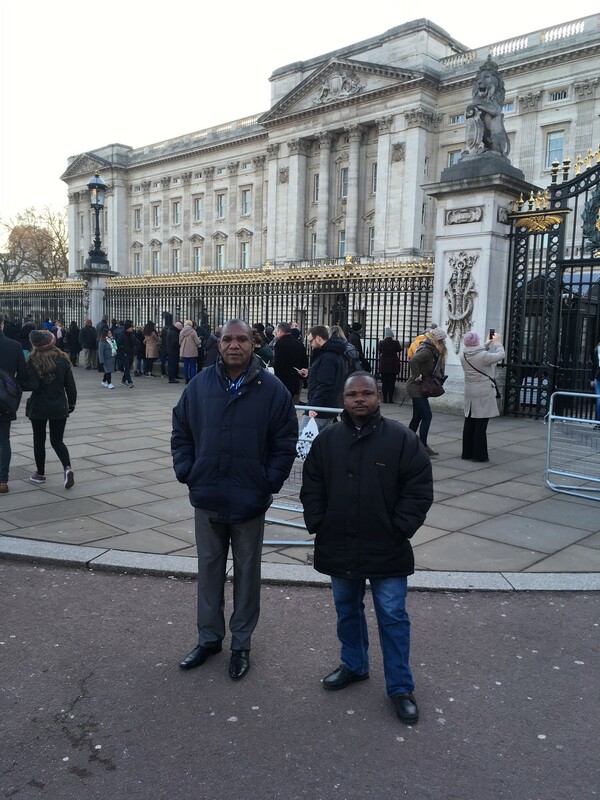 After an 18 month odyssey of trying to secure visas, Fr Augusto and Paulo landed at Heathrow Airport on Tuesday 17th January. 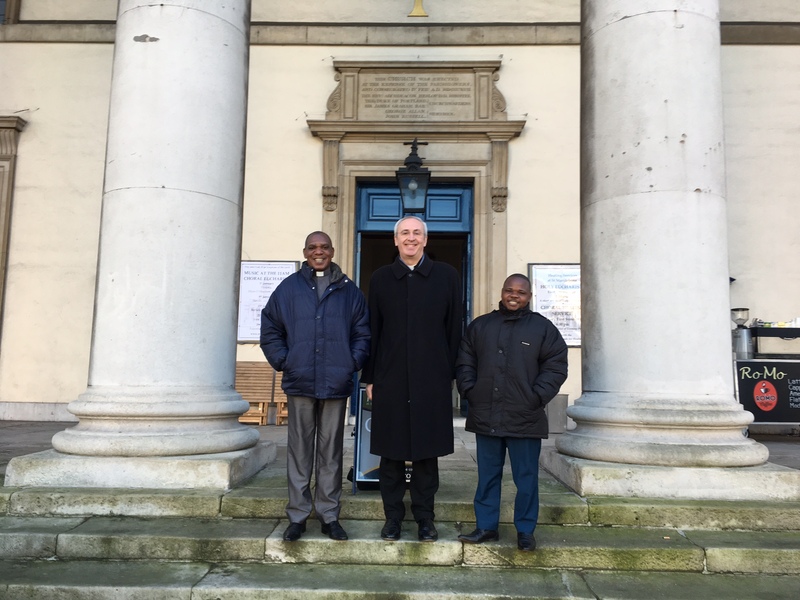 Fr Augusto and Paulo saw many aspects of the daily life of St Marylebone, sharing in worhip and visiting the parish church's two schools and the University of Westminster (where St Marylebone provides chaplaincy to students and staff). During the vsiit, Fr Augusto preached at the Sunday Choral Eucharist and Paulo joined in the activities of Young Church and Junior Choir. A visit highlight was the Bapstism and Confirmation Eucharist celebrated by The Right Reverend Robert Ladds, SSC, Area Provost of the Woodard Corporation, for girls from The St Marylebone Church of England School. 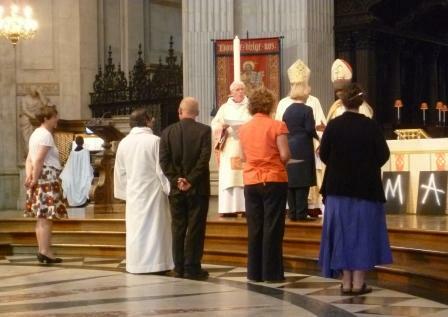 1000 staff, family members and teachers attended the joyous occasion in St Marylebone Parish Church. 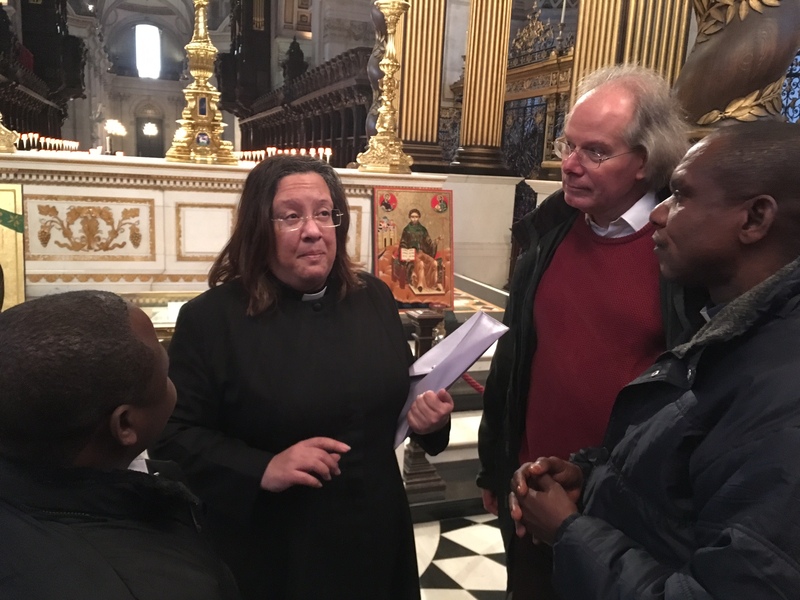 Visits were made to St Paul's Cathedral, Westminster Abbey, the offices of the Diocesan of London and ALMA. the vsiit would not have been possible without the kindness and help of john Rsker and Sheenagh Burrell from the London ALMA team. 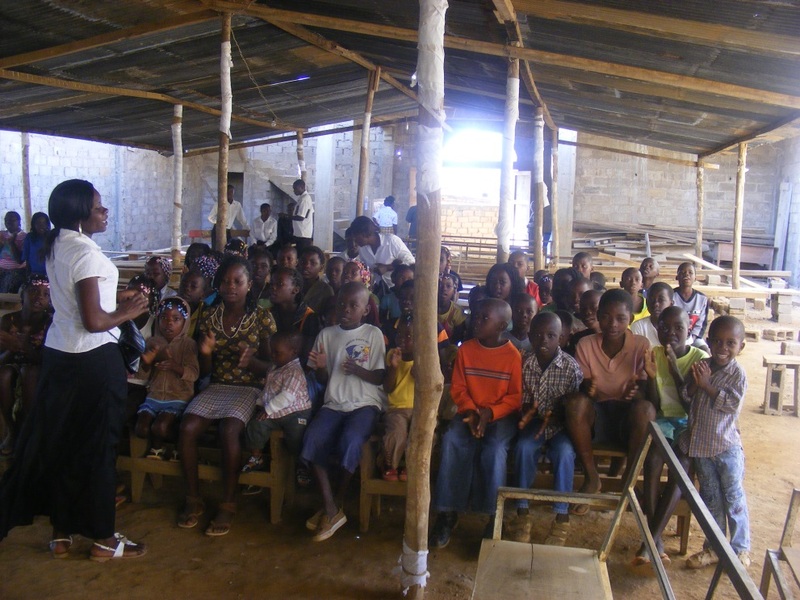 To talk about the Martyrs Parish we first of all need to speak about the United Evangelical Church of the Anglican Communion in Angola. 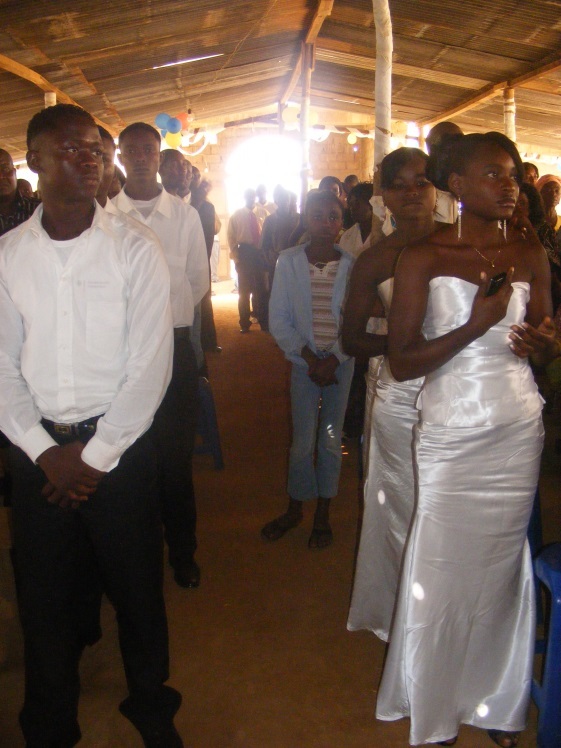 The United Evangelical Church of the Anglican Communion in Angola (IEU-CAA) was founded on 9th June 1925 in Kikaya village, which is 9 km from the city of Uíge, by British missionary Archibald Patterson, a member of St Clement’s in Liverpool, England. The Church’s name was “Mission to the North of Angola” and afterwards in the fifties it became the “Evangelical Church of Angola”. Patterson started teaching young people and formed the first catechists to preach the gospel inside the villages. The first Protestant Church in Uíge City was in the district of Candombe-Velho. João Gonçalves was the first pastor of this parish. It was a nice church built with modern architecture. He evangelised many people and taught many young people. In 1961, the revolution started the war of liberation and the missionary and pastors were persecuted by the Portuguese Government. On 23rd March 1961, Patterson was deported from Angola by the Portuguese Government. After Patterson departed they captured many pastors and put them in prison, and then they were murdered. It was at this time that the parish lost its pastor and many leaders of the Kingdom of God. The church building was also destroyed. Between 1961 and 1974 during the war of liberation, the Evangelical Church was accused by the Portuguese Government of preparing people for war. That was the reason they killed many pastors. In 1973, Patterson visited Kinshasa from the UK to meet with the people of God taking refuge in the Democratic Republic of Congo. 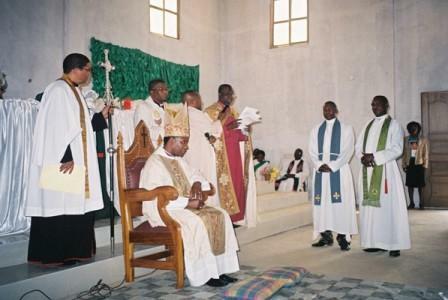 In Kinshasa he ordained as priest, Alexandre Luis Domingos, who became leader of the “Evangelical Church of the North of Angola” in the DRC and in Angola. After the war with the Portuguese Government, the Church had lost everything it had before and was frustrated. 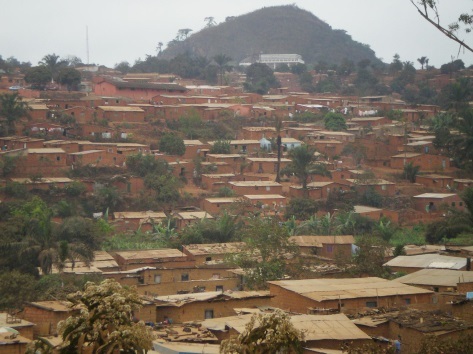 In 1975, people came from Congo to reactivate the Church and the Revd. Alexandre Luis Domingos became priest in the Martyrs Parish and leader of his Church. They rebuilt the church which had been destroyed and called it the Martyrs Parish. We remember the church members and pastors killed by the Portuguese Government in this parish. This is the reason we are called the Martyrs Parish. The second church was built with wood and grass. 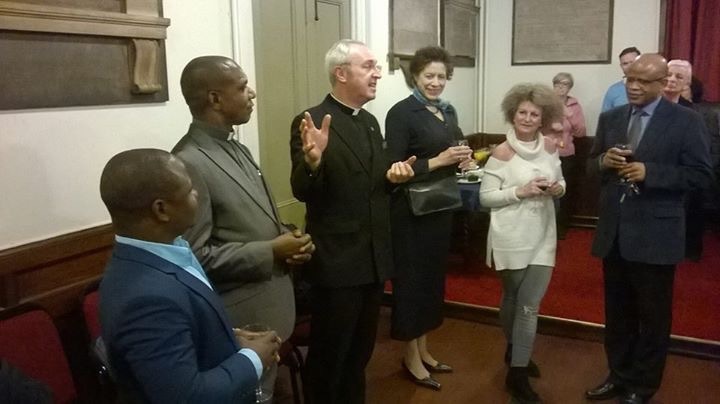 In the eighties, the Revd Alexandre Luis Domingos left the parish and the new priest was the Revd André Soares, now Bishop of the Diocese of Angola. In 1985, the Revd André Soares was replaced by the Revd Pedro Justino. The Revd Augusto Domingos was ordained priest in 2007, and replaced the Revd Pedro Justino as the new priest of the Martyrs Parish. The church building was in a very poor condition, bits had started to fall off. 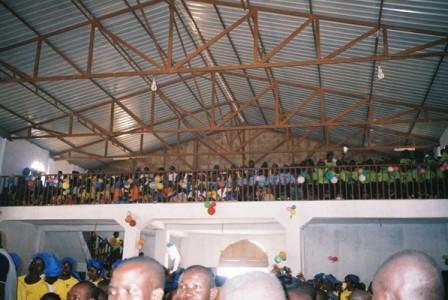 So in September 2008 the parish began to rebuild the church. With difficulty, the church members have each contributed something we are using, because most people don’t work and are not in a position to help financially.